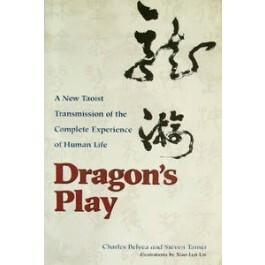 Dragon’s Play is an entertaining story with a vast and classical purpose. Through the medium of a simple illustrated story Liu Ming offers a new and yet traditionally complete story of the Daoist spiritual path. The text highlights 12 facets of our human experience as a transformational journey of a sage and monkey as they travel a path that reveals their true nature – the dragon. Liu Ming’s voice in this text is really clear, full of wisdom and delight! Published nearly 20 years ago, these are the last few books left! !